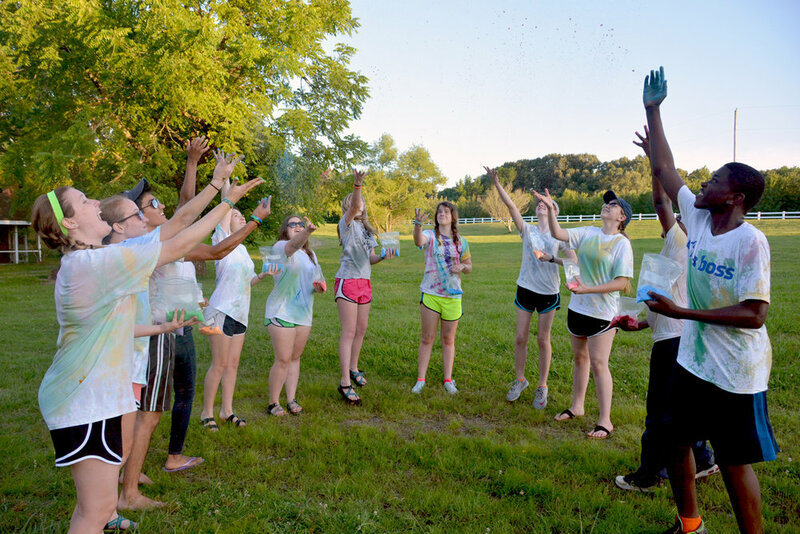 In partnership with families, the youth ministry of Evangel exists to challenge students to develop a more intimate relationship with Christ, cherish edifying relationships with fellow believers, and create life-transforming relationships with unbelievers. We establish a conducive atmosphere for worship and fellowship through conjoined praise, prayer, and teaching on Wednesday nights at The Refuge. We equip students to be fishers of men through established discipleship classes and various outreach ministries and mission trips. Our goal is to ignite a desire for Jesus in students that will manifest itself in their lives in the form of using their individual talents to glorify God, proclaim truth, and make disciples. Every Thursday at 4:15 PM, we leave from the BCM at 469 Patterson St. Memphis, TN 38111 and go to North Memphis 1560 N. Hollywood St. Memphis, TN 38108 to assist Mac King, our partner in ministry, in leading a backyard bible study with kids from the Goodwill Village Apartments. After the bible study, we help them with any homework that they have. The goal is to educate the next generation in North Memphis in sound doctrine and a firm understanding of the Gospel where there is little to no presence of the Gospel and to also equip our students in spiritual leadership. Every Thursday at 7 PM, the upperclassmen (Juniors & Seniors) are invited to join local University of Memphis students in worship at the Baptist Collegiate Ministry (BCM). The event is called Focus because it is the BCM’s goal to direct students’ attention and priorities to God and plug them into the local church through student-led worship and guest speakers from local churches. Our goal as a youth ministry is to prepare students to be independent in their faith as college students by exposing them to a welcoming, college Christian atmosphere.